Pigsty construction begins with expert advice and planning. Our longterm experience guarantees our support on individual pigsty layouts, adapted to local requirements, both for piglet rearing and for pig fattering. Naturally our portfolio includes also professional installation, maintenance and service. 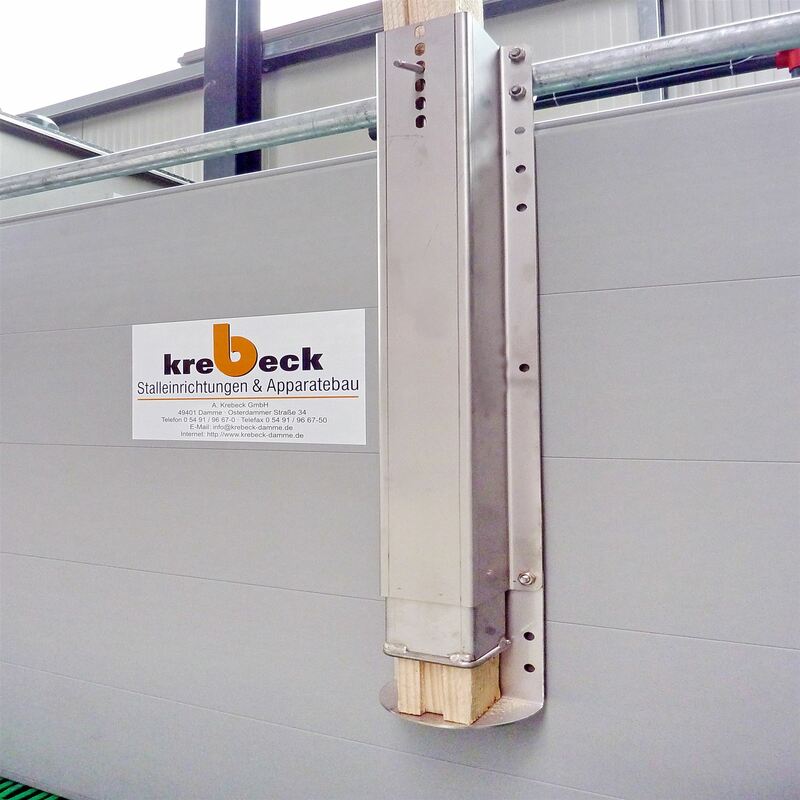 The wide range of facilities includes stabling with single pens, with group pens, stainless steel feeding troughs, plastic partitions, sensor feeding. The Animal Welfare initiative grew out of a coalition of agriculture, meat industry and food retailing. The aim of the initiative is to integrate animal welfare in the future even more strongly into the principles of action and largely establish it in agricultural production, in the meat industry and in food retailing. Our contribution to this initiative is to provide products for the improvement of animal welfare in pig farming. Ramps and gangways in various specifications, individually manufactured according to intended purpose and local requirements. Sliding inner doors for pigsties. Chain adjustable air inlets. 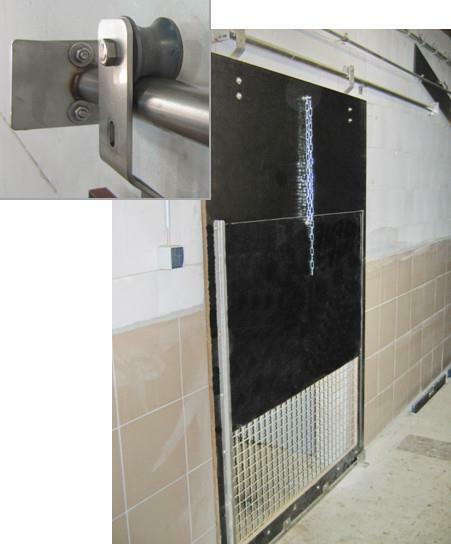 Material combination for door retention stainless steel/plastic: widely resistant against corrosive sty climate.